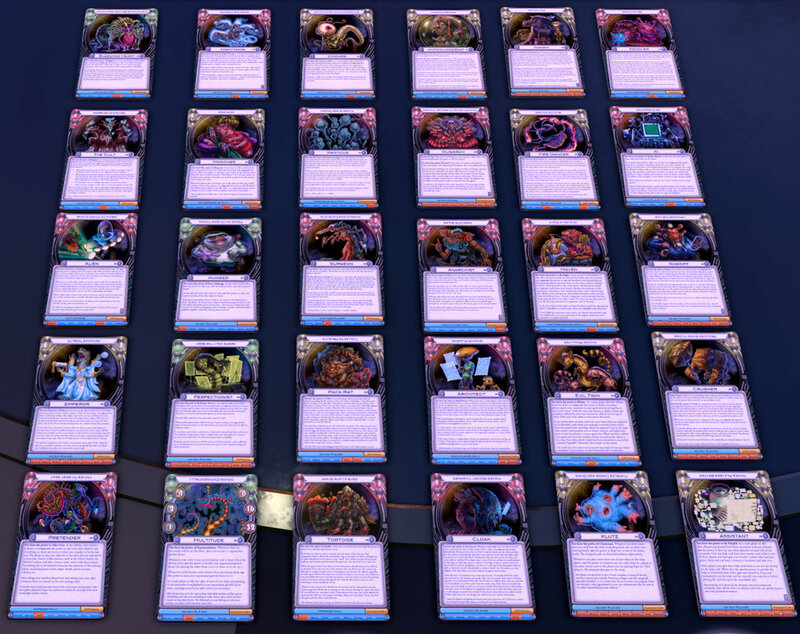 On March 14, 2018, Cosmic Encounter® Connector got a massive graphics upgrade as part of Tabletop Simulator v10.4. The new floating star background and spinning warp will hypnotize you into gamer bliss. The playing area is completely redesigned, and there are nifty new gizmos to play with. Great work from our partner, Berserk Games. But the best part is we included expansion set six, Cosmic Eons. That means if you already own the Cosmic Encounter DLC, you now own Cosmic Eons! If you haven't picked up Cosmic on TTS, get it now and the Moocher will toss in Eons for free. Geek & Sundry called Cosmic Eons the "must have expansion for Cosmic Encounter." Free expansion Eon now included with the base game! Custom thematic table and environment ( + animations and particle systems). Full revamp of all game components to match the theme.